Please visit our Challenger page for more information. For our graduates of Little League Baseball we offer a 19U program that plays baseball across Ottawa during the spring and summer season. Often, a family's first introduction to Little League® is in the Tee Ball program. Tee Ball is the entry level division for players, ages 4-6. The experience is grounded in fun, fitness, and fundamentals while also being a key to growing a child's love for the game. Tee Ball players use bats and balls designated specifically for use in this division. Currently CRLL Tee Ball is offered for an extended spring season featuring 1 practice per week for the first 5 to 6 weeks followed by 1 game per week for the remaining 5 to 6 weeks. More information on scheduling is available on our Spring Season page. The Coach Pitch Division is for younger boys and girls with limited baseball experience but who have usually played Tee Ball and are ready to begin hitting a coached pitched ball. This division of play primarily builds on the fundamentals that players received in Tee Ball but it is also a good age group for new players of the sport to begin participating. Players will continue to develop in baseball, social and leadership skills. Each Little Leaguer is required to play one season of Tee Ball before being eligible to be evaluated by the local league officials for consideration to advance to a higher division of Little League baseball, usually Coach Pitch. Most players are encouraged to complete two years in Tee Ball before graduating to Coach Pitch. In this division, coaches will pitch to their teams using a Safety 1 level baseball for the maximum number of pitches as indicated in the rules with no player strike outs. Coach Pitch is offered for an extended spring season featuring 1 practice per week for the first 5 to 6 weeks followed by 1 game per week for the remaining 5 to 6 weeks. More information on scheduling is available on our Spring Season page. CRLL's Minor League Baseball program is for players (boys and girls) aged 9 and 10 with some experience playing baseball; however, it remains an instructional level that is suitable for new players to the sport as well. In this division, players will begin to pitch and field the catcher position as well as learning more advanced playing techniques such as stealing bases. Players and coaches will use the Coach Pitch experience as a foundation to become better baseball players and better athletes. CRLL follows the principles of fair play that provide fair and balanced playing time for all players on the team. When registration numbers permit, this division will be split into two tiers, the Canadians, and the Nationals. Selection to the appropriate tier is through player evaluation by coaches and association executives. The Minor Division is offered for both the spring and summer seasons. The spring season features 2 games (one home and one away) as well as one practice per week for a 6-week "house league" season (May to June). The summer season, when registration numbers permit, similarly features 2 games (one home and one away) as well as one practice per week for a 6-week season (July to August) in a wider Ottawa based league. More information on scheduling and descriptions of the spring and summer programs are available on our Spring Season and Summer Season pages. The Minor Division also provides an opportunity to compete for selection to the CRLL Minor All Star Aces Tournament team that competes against other league All Star teams for the Little League Ontario Minor Championship. When not involved in the Annual Little League Tournament, the All-Star Team participates in a competitive summer league with other Ottawa All Star teams. More information is available on both the Summer Season page and the Aces Program page. The Little League Major Division is the crown jewel of the Little League divisions and where Little League focuses most of its attention as is witnessed by the annual Little League World Series in Williamsport PA. The Major Division is for 11 and 12 old players. The Major Division is the culmination of everything the players have learned through the previous divisions. The pitches become faster and the hits are longer even with the occasional homerun. Although players are given the opportunity to play multiple positions, there is a natural tendency to start focusing on those positions that the players are most successful and comfortable with. When registration numbers permit, in our spring season, this division will be split into two tiers, the Canadians, and the Nationals. Selection to the appropriate tier is through player evaluation by coaches and association executives. The Major Division is offered for both the spring and summer seasons. The spring season features 2 games (one home and one away) as well as one practice per week for a 6-week "house league" season (May to June). The summer season, when registration numbers permit, similarly features 2 games (one home and one away) as well as one practice per week for a 6-week season (July to August) in a wider Ottawa based league. More information on scheduling and descriptions of the spring and summer programs are available on our Spring Season and Summer Season pages. The Major Division also provides an opportunity to compete for selection to the CRLL Major All Star Aces Tournament team that competes against other league All Star teams for the coveted role of representing Canada in the Little League World Series. When not involved in the Annual Little League Tournament, the All-Star Team participates in a competitive summer league with other Ottawa All Star teams. More information is available on both the Summer Season page and the Aces Program page. The Intermediate (50/70) Baseball Division was introduced in 2010, as a pilot program for 12- and 13-year-olds which utilizes slightly longer pitching and base path lengths (50-foot vs 46-foot pitching distance and 70-foot vs 60-foot base paths). This division offers a transition for players between the standard Little League diamond size and the Junior/Senior larger diamond sizes. CRLL does not regularly offer an Intermediate Division due to the limited number of registrations in this age group. We have had success with adhoc travel teams in this division and did participate one year in the Annual Little League Tournament in the Intermediate Division. The Executive Board remains open to supporting the rostering of Intermediate teams if sufficient registrations are available. The Junior League Baseball Division is a program for boys and girls ages 13-14, using up to a conventional 90-foot diamond with a pitching distance of 60 feet, 6 inches. Slightly reduced diamond dimensions (54/80) may be used during the regular season but very few of these reduced diamonds are available across Ottawa. Some diamonds allow for a reduced pitching distance of 54 feet whilst having the 90-foot base running paths. The Junior program is players first experience with leadoffs and pickoffs on a large diamond. The field and bats are bigger, the ball comes faster but the game is still played the same. During the spring season, emphasis remains on skill development, fair play, and fun. Dependent upon registrations the Junior Division is offered for both the spring and summer seasons. The spring season features 2 games (one home and one away) as well as one practice per week over a 6-week season (May to June). The summer season, similarly features 2 games (one home and one away) as well as one practice per week for a 6-week season (July to August). Both the spring and summer seasons are played in an Ottawa based interlock league with teams across the Ottawa area. More information on scheduling and descriptions of the spring and summer programs are available on our Spring Season and Summer Season pages. 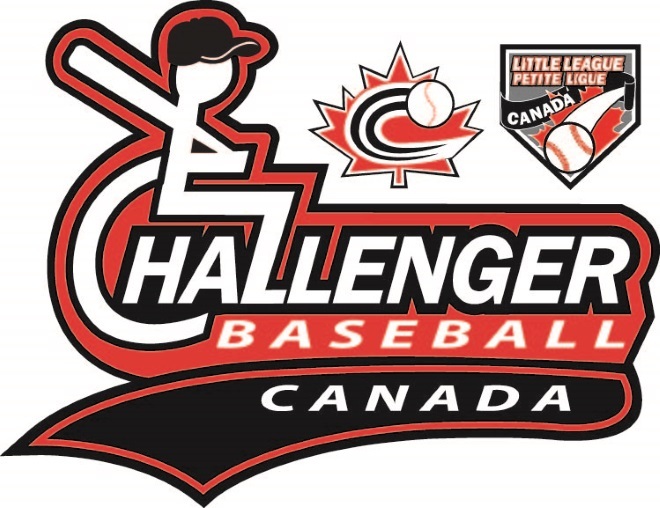 The Junior Division also provides an opportunity to compete for selection to the CRLL Junior All-Star Aces Tournament team that competes against other league All Star teams for the coveted role of representing Canada in the Junior League World Series. When not involved in the Annual Little League Tournament, the All-Star Team participates in a competitive summer league with other Ottawa All Star teams. More information is available on both the Summer Season page and the Aces Program page. The Senior League Baseball Division is for boys and girls 15-16 years old, using a conventional 90-foot diamond with a pitching distance of 60 feet, 6 inches and full-size bats. The Senior program is the final culmination of everything the players have learned through their Little League careers to date. The pitches become faster and with more movement, the hits are stronger, and the play is faster and more advanced. During the spring season, emphasis remains on skill development, fair play, and fun. Dependent upon registrations Senior League is offered for both the spring and summer seasons. The spring season features 2 games (one home and one away) as well as one practice per week over a 6-week season (May to June). The summer season, similarly features 2 games (one home and one away) as well as one practice per week for a 6-week season (July to August). Both the spring and summer seasons are played in an Ottawa based interlock league with teams across the Ottawa area. More information on scheduling and descriptions of the spring and summer programs are available on our Spring Season and Summer Season pages. Senior League also provides an opportunity to compete for selection to the CRLL Senior All-Star Aces Tournament team that competes against other league All Star teams for the coveted role of representing Canada in the Senior League World Series. When not involved in the Annual Little League Tournament, the All-Star Team participates in a competitive summer league with other Ottawa All Star teams. More information is available on both the Summer Season page and the Aces Program page.